via Lone Star Legal Aid Environmental Justice Newsletter, dated July 18, Volume 1, Issue 4. LSLA’s Environmental Justice team is representing Independence Heights Redevelopment Council in the community’s efforts to save one of the oldest African American churches in Houston. Established 117 years ago as part of the first African American incorporated community in Texas, the historic Greater Mount Olive Missionary Baptist church in Independence Heights is in jeopardy of being demolished by TxDOT’s massive I-45 North expansion project, also known as the North Houston Highway Improvement Project (NHHIP). Not the first threat to its existence, the historic church was rebuilt and dedicated in 2016 after being destroyed by Hurricane Ike in 2008. A member of the Historic Black Towns & Settlements Alliance and Preserving Communities of Color, executive director of Independence Heights Redevelopment Council Tanya Debose has been actively working to preserve the rich history and cultural legacy of Independence Heights. 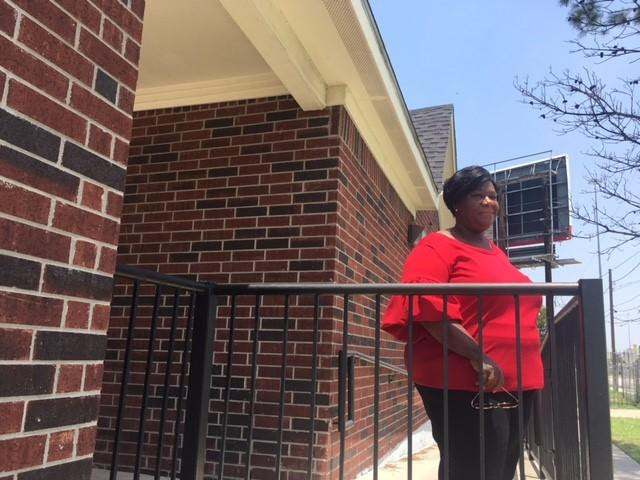 Facing threats to the historic church by the I-45 North expansion project, Debose’s organization recently reached out to LSLA’s Equitable Development Initiative team for legal advice on preserving the church, which Debose grew up attending as a child. In hopes of saving this cultural legacy, LSLA is conducting an investigation to determine whether the church is protected under NEPA Section 106 by establishing whether it meets the National Register Criteria for evaluation. Debose recently shared plans for a cultural and historic corridor featuring murals on seven churches flanking North Main Street in Independence Heights. Part of a national network of historic corridors through the Historic Black Towns and Settlements Alliance, the murals will tell the history of this community, which built itself up from nothing in the early 20th century. “Churches played a key role in establishing communities,” shared Debose. Not only houses of worship, the church in the African American community historically functioned as “City Hall, community hub, movie theater, and as a place of shelter,” explained Debose. Greater Mount Olive Missionary Baptist Church served as an anchor for the East side of Independence Heights, protecting residents from natural disasters as well as human threats – including terrifying intrusions by the KKK. Black communities across the U.S. have historically been threatened and reduced through half a century of freeway construction and other infrastructure development projects that systematically divided urban communities, removed cultural resources, and left neighborhoods in neglect. Independence Heights has suffered multiple blows over decades of city, state and county infrastructure projects that have cut across the land and displaced hundreds of families through half a dozen buyouts, altering the map of the neighborhood. Debose’s own family history reads like the history of those alterations. Her great-grandfather was displaced by the construction of I-610 in the 1950’s, which cut through the south end of the neighborhood and shifted flooding from Sunset Heights (south of the freeway) into Independence Heights. After TxDOT published a Draft Environmental Impact Statement (DEIS) in April 2017, an alliance of community organizations called Coalition to Make I-45 Better formed around concerns regarding the expansion. The group submitted formal comments to TxDOT on the DEIS last summer. EJ Managing Attorney Amy Dinn has contributed to the coalition’s analysis of projected environmental impacts to Houston communities.